Whether you have a large multi-building facility or a small business, you can count on the Beyond Carpet Cleaning team to restore your carpets and upholstery. Your guests, clients and staff will notice the difference, guaranteed! And with rates starting as low as only $119, you’d be surprised at how little it costs to get that brand new, healthy, professional look again. Ask us for a written, guaranteed no obligation quote today. Need a job done right now?? How about same day on- site quotes at no cost, no hassle, no problem. We can even start cleaning the same day! You don’t just want clean carpets. You want them restored to as like-new as possible. That’s why our Chicago carpet cleaning service is called “Beyond Carpet Cleaning”. Not only do your carpets end up looking fresh and clean, but stains can be removed and repairs done at the same time. 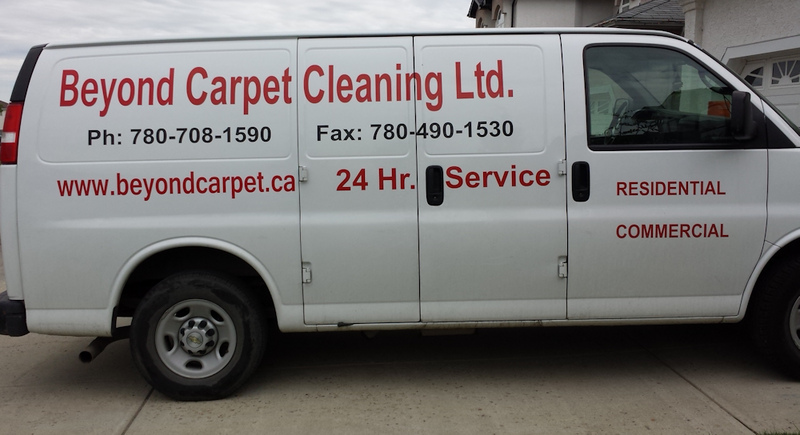 Commercial carpets need special care and Beyond Carpet Cleaning has been providing this expertise to Edmonton businesses for many years. We guarantee our prices; provide experienced and professional service and never cut corners. It’s an attention to detail your customers and employees will recognize. Choose the Edmonton commercial carpet cleaning specialists – Beyond Carpet Cleaning – your carpet cleaning team serving Edmonton and the surrounding areas. Serving your business, office, apartment or condominium complex. You want to make a good impression on customers and staff. A grimy carpet just isn’t good for business. Stores and offices are the ultimate test of any carpet cleaning process because that’s where the dirt is often the most deeply embedded in carpet fibers and upholstery. Beyond Carpet Cleaning steams them clean, extracting the nasty, ground-in grime, the stains, and the high traffic area dinginess. So your store or office will make the same great impression it did on opening day. Call the Edmonton commercial carpet cleaning specialists – Beyond Carpet Cleaning at 780-708-1590 now!